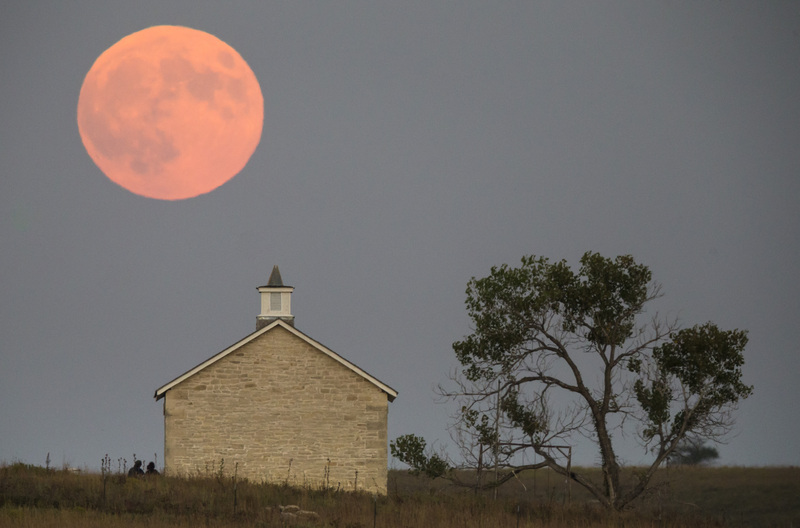 A super moon rises over the Lower Fox Creek School near Strong City on Sunday might. The super moon was later followed by a "blood moon" eclipse. The Lower Fox Creek School is a one-room school house build in 1880 that is now part of the Tallgrall National Prairie Preserve.